he new AKG N700NC is yet another powerful headphone device that offers nothing but absolute quality for your hearing. The device which is manufactured by AKG a simbling company acquired by Samsung Electronics about two years ago had become one of the biggest quality headphone maker in the world now. 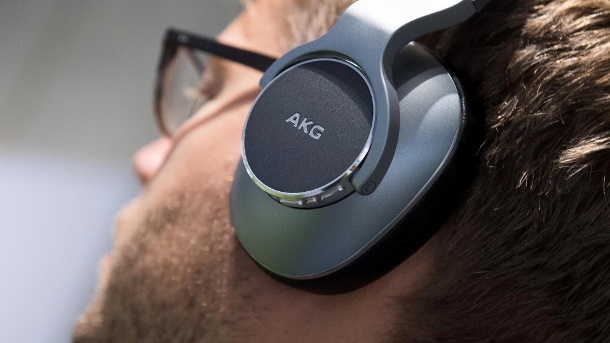 Although there are other existing and powerful noise cancellation headphone makers in existence which offers maximal audio quality ahead, the new AKG N700NC is now one of those with Samsung backing it up, that might be a really big leap for the company and while the industry gets more competitve. But let’s first talk about premium noise cancellation headphones like Bose QuietComfort 35II, Sony WH-1000XM3, Beats Studio3 Wireless, Microsoft Surface Headphone and Sennheiser PXC 550 which all offers absolutely Hi-Fi audio quality and are already known by way lots of people globally. The effect of Noise cancellation is that it helps you hear the perfect sound without having to excessively blast the volume of the headphone which could have a negative effects on your hearing. This technology helps you lisen to audios while on the go without having to worry about the ambient noises around you and also offers you the perfect audio quality splitting beats from sounds making every thing smooth and enjoyable. With that said, this are what the premium headphones offer that other small or budget headphones do not. The quality over quantity. While we already know Beats, Sony and Bose as the leading makers of this type of headphones, the entry of Microsoft and AKG or do I say Samsung through AKG is a great move which would make the industry more competitive giving buyers options to buy which headphone they think is better for them while not breaking the bank for this. Although all these so-called premium headphones, including the AKG N700NC, have a pricetag of $350 on them all. While being made out of plastic materials, the headphone offers some absolute and vibrant build quality while the grips are very good making it quite comfortable while worn on. Although the level of comfort you get with the AKG N700NC isn’t as great as those you get on the Sony and Bose headphones but the fact that this company is aiming to be among the top headphone makers is a sure sign that it has a clear ambition and visions. There’s adequate padding at the top of the headband, with a strip of Ultrasuede material that’s similar to what you’ll find on the Bose headband. The headphones don’t put too much pressure on the crown of your head though they do fit a little snugly. With modern headphones already offering features such as touch control, Headphones like hose from Sony and Microsoft already offer such feature even though AKG doesn’t support that yet. Not a deal breaker though since the quality of the device is very great and considering the fact that it’s well made by one of the biggest electronics maker in the world. There’s a metal hinge and the headphone both folds up and folds flat. I thought the way the headphones folded onto their side made the case a little too bulky. While that might be a bit of an issue to some people, those with big hands might have problems with the buttons of the device since they are quite tiny making controlling the device while wearing it a bit of a task especially if you are not familiar with the device yet. There is a special button right next to it’s power button with the “Smart Ambient” label which offers a good ambient noise cancellation capacity. The AKG application for both Android and IOS platforms offers the feature of assigning the button to activate he “Ambient Aware” (a feature which actually does the ambient noise cancellation) or enabling he “TalkThru” mode (which allows sounds into the headphones). The latter mode mutes whatever you’re listening to, turns on Ambient Aware and lets you talk to someone while wearing the headphones. It would be useful if you were on a plane and wanted to talk to a flight attendant without taking your headphones off. While being used in lousy city and sidewalks,the noise cancellation feature worked excellently. While the Ambient Noise cancellation feature did very well, I could still realise that the quality of this feature is still a bit behind those from Sony and Bose during my previous experience with those. The Sony WH-1000XM3 offers some adaptive noise cancelling features which is very impressing which could be better than the AKG N700NC here. Another thing I wouldn’t call great is that there is no extra noise cancellation settings found on the mobile application offered by the AKG headphone. Me for example, I usually put on noise cancellation headphones sometimes (Most times) when I’m trying to muffle nosies around me especially when I’m going through noisy places even without actually listening to anything. But you can set the device to turn off after 10 minutes when you’re not listening to anything while on the go and this helps prevent battery life. Another thing I found intriguing is the fact that you can create your own customized EQ settings so you can tweak your bass, treble to whatever you like so as to please your listening. While I’m very found of this, I have been an avid user of equalisers especially with my Dub Player Android music player on my Xiaomi Max 3. Comparing the audio quality from the AKG N700NC and Sony headphone, the difference in their quality can be a bit hard to tell apart although Sony delivers a bit more energy to bass-heavy tracks especially when listening to Hip Hop and so on. But the AKG offers you a bit more sparkle quality which is a great split of instruments that you hear the distinctly. Making calls is quite great. When calling, both the caller and receiver can hear one another very well without having to repeat unnecessarily what had been said earlier. Pairing the AKG Headphone with my Android device was easy and so is it when connecting it with an iOS device. During my mini tour with the device, the battery life was great in general. And considering the fact that it offers quality sounds, you wouldn’t have to turn up the volume. While walking and sitting, the audio quality are never deterred and the pairing with smartphones are done over both bluetooth and wired connections but either ways, the battery still worked well and offered absolute result. The headphone charges via a standard Micro-USB cable, not USB-C like the Sony and Microsoft Surface Headphones. The AKG N700NC sells for $350 and offers you great quality which is standard matching up with the price tag. But do note that this isn’t an all-mighty headphone with all the goodies. As said earlier, if you still want more from an headphone, you might consider switching to Sony but if you’re great with nice above average quality, then his is for you. And since this the entry point for Samsung and AKG, we might not be expecting too much but with the hope that the next version of the device will come with better features that can contend against the existing premium headphones in the marketIf you’re in the market for a pair of premium headphones, you can’t go wrong with the N700NC. Definitely a solid first entry for Samsung and AKG.